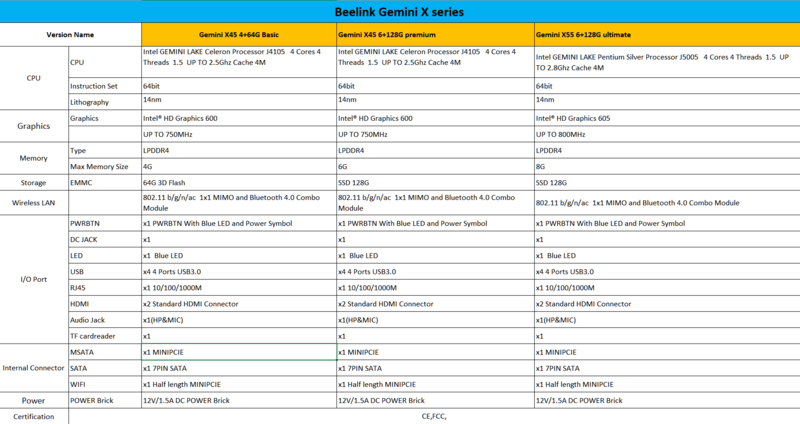 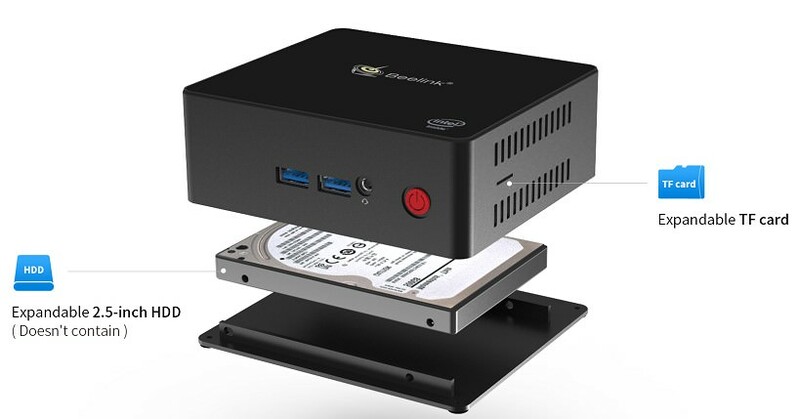 Beelink Gemini X45 Premium Mini PC - 6/128 Intel Gemini Lake Celeron J4105 Intel UHD Graphics 600, 6GB DDR4 + 128GB mSATA SSD, Expandable HDD + SSD, 2.4G + 5G WiFi, 1000Mbps, BT4.0, Small and Portable. 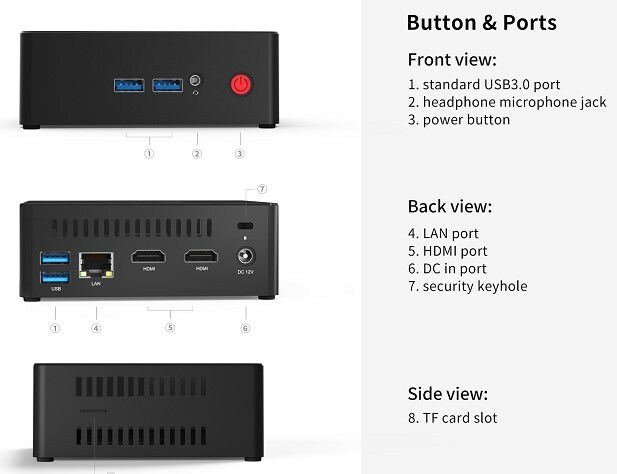 Only $259.99，buy Beelink Gemini X45 Premium Mini PC at GearBest Store with free shipping. Last edited by trebor; 06-29-2018, 02:19.